The past few years have seen smartphones move beyond simply being communication devices to emerging as fully equipped entertainment sources. Aiding this evolution have been a number of accessories that allow one to do more with one’s handset, one of which are speaker docks. Once considered a luxury, speaker docks are rapidly moving into the necessity category, especially for music-loving iOS device users. And thanks to an increasing number of manufacturers taking the dock plunge, they have plenty to choose from. If you are getting confused by the plethora of options in the market, here are four that we think are worth a second glance and several listens! At Rs 65,900, the Philips Fidelio SoundSphere DS9800W is definitely an expensive proposition, but it is also more than just a conventional speaker dock. 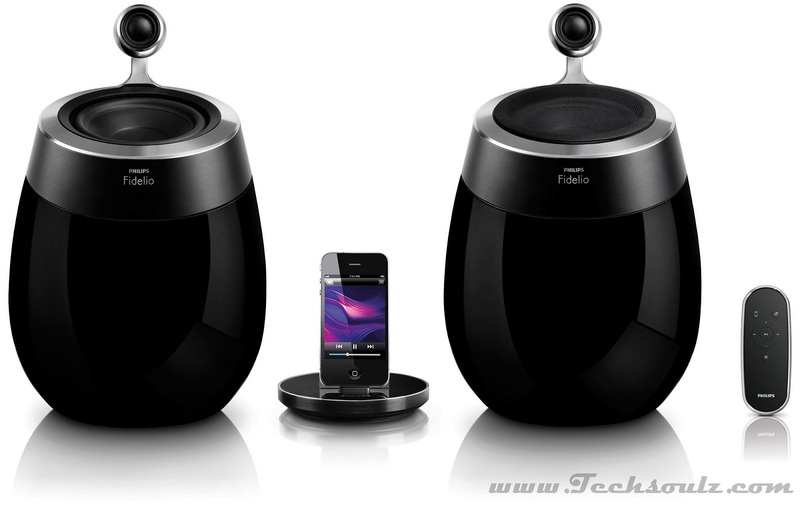 The Fidelio SoundSphere consists of two separate stereo speakers with the egg-shaped base of each unit housing a woofer with a separate tweeter mounted on an arm above it. At a hefty 6 kg, it is not a portable option unless you are desperate. It uses AirPlay to play music over a Wi-Fi network from iTunes on Mac and computer, iPhone, iPad and iPod touch - no plugging in cables or docking the iOS device. It is available in two colours - black and white. Bottom line: If you’re looking for a blast of sound that will easily fill a room and don’t mind a pricey tag, then the Philips Fidelio SoundSphere is definitely worth a listen. Sound quality on the JBL OnBeat was clearly a priority. The unit features two separate speaker channels that deliver full clarity during music and spoken word playback. It has a clean, linear fashioned design with finer acoustics and powerful sound. Full-range JBL Phoenix SE transducer with computer-optimised digital signal processing (DSP) delivers great JBL sound with deep bass levels. 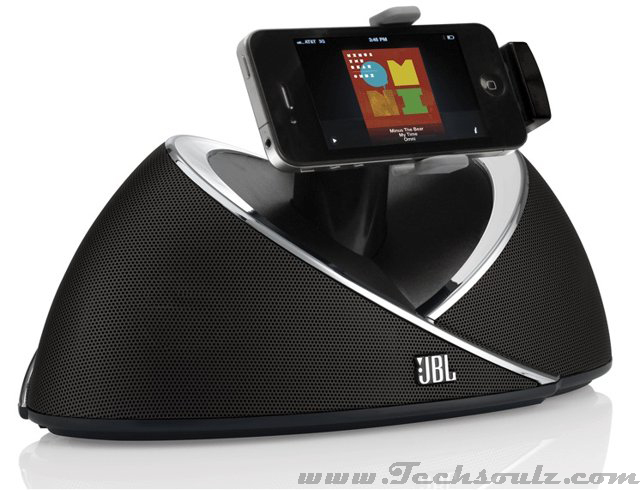 The JBL OnBeat is built for iPhones, iPods and unlike many iPod docking stations this one accommodates the iPad. It charges docked devices even when powered off and also comes with video output for television viewing. The JBL OnBeat not only looks funky, but is one of the best all-around speaker docks available out there in the market. Bottom line: For those looking for a stylish iPod, iPhone and iPad compatible docking station, the JBL OnBeat should fit the bill; it has everything one would want and then some extras too. The Yamaha PDX-11 iPod dock packs decent sound quality in a device designed for use at both home and on the go. Yamaha is no stranger to pumping out attractive speaker docks for Apple devices and this one too includes features of portability with striking, rugged design and good sound. The Yamaha PDX-11 is available in four colours - white, dark blue, green and black. It has a rugged looking octagonal horn-shaped design with a grab it and go roll bar chrome handle that makes it easy to take it anywhere. The iPod or the iPhone dock is perched on the top of the speaker and music is played back via a powerful woofer that drives accurate bass while a separate tweeter handles high notes. The PDX-11 can also be connected to a computer, Mac or other digital audio player via a 3.5mm jack on the back of the dock. However, it does not charge the docked iOS device. Bottom line: The Yamaha PDX-11 offers excellent sound quality. We have seen better designs but you cannot argue with its sound quality and sturdy build. Competing manufacturers could stand to learn a thing or two from Bose’s approach to the extremely popular iPod SoundDock speakers. Like many other iPod audio speaker companies, the SoundDock Series II also comes with a tag that claims ‘iPhone certification’ which means it is compatible with iPhones (except the iPhone 4S and 5) and most iPod models. 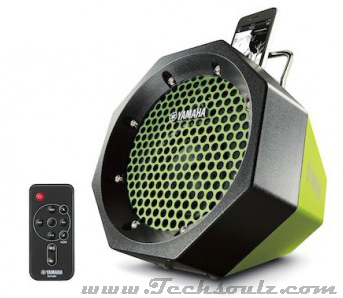 The system features a new auxiliary input that allows users to connect other audio devices like an MP3 player, portable CD player, or music-enabled phone. The SoundDock Series II also comes with the dock-and-play feature and can also charge an iPod or iPhone while in use with no supplementary setup required. The Bose SoundDock Series II Digital Music System is easy to sum up a good product with good sound, solid build quality and of course, the Bose tag. 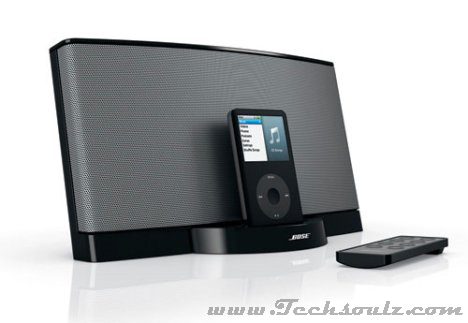 Bottom line: The Bose SoundDock Series II Digital Music System’s feature set and awe-inspiring sound quality makes it one of the best iPod speaker docks available in town.